Oxford Hypnobirthing Terms & Conditions | Perfect for those early arrivals! Please read the following Hypnobirthing course terms & conditions to check your agreement before completing your enrolment details below. Your Hypnobirthing course place is not secured for you until you have made full payment or an initial £50 deposit. A booking does not constitute the creation of a contract and teacher (Steph McGee) reserves the right to decline to process a booking for any reason whatsoever. If the booking is not able to be fulfilled the teacher will promptly refund all monies. The fee will be repaid promptly and in full if your baby arrives before the course or in the very unlikely event of the course being cancelled. These are the only circumstances under which a refund will be made. The teacher reserves the right to amend or cancel any course, course times, dates or published prices. Changes to course prices, times and dates will be advised before the course start date and any course already paid in full will not be subject to any price increase. Any recording or written material included as part of this course or arising from this course and all rights worldwide (including Intellectual Property Rights) relating thereto respectively are the sole property of Katharine Graves, KG Hypnobirthing Ltd, or others from whom such rights may be derived (whether or not protected by trademark and copyright laws) and may not be used other than for the personal use of the participant without obtaining prior written permission. The participant agrees not to record the course or any part thereof. Using KGHypnobirthing techniques is not a substitute for the advice of or the presence during birth or any part of pregnancy or labour of a qualified medical practitioner, midwife or obstetrician. It does not represent in fact or otherwise an alternative to appropriate medical care or for professional medical advice in any way shape or form. 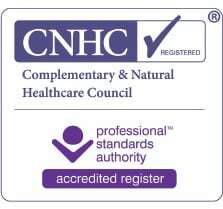 Any questions or doubts that you have about the use of KG Hypnobirthing by you or any third party in any part should be discussed by you with your medical caregiver and the safety of or the appropriateness of this programme to you or any third party whom you represent be confirmed with your medical caregiver prior to undertaking the programme. Thank you! Your enrolment form has been sent. Anything else you think I should now?